Turkish steel production showed third yearly drop in 2015. On the other hand, global steel production fell for the first time in 2015 after the sharp drop during the global financial crisis in 2009. According to the World Steel Association’s data, in 2015 world crude steel production fell 2.8 % from 1.67 billion tons to 1.62 billion tons. While production dropped in all the regions, among all the 15 steelmaking countries, only India’s steel production grew. Aside from India, the other 14 steelmaking countries experienced decrease in production, however, Ukraine’s production rates suffered the most declining by -15.6%, USA followed with -10.5%. After Ukraine and USA, with -7.4 % production drop rate Turkey was the third country to have largest decline in steel production. 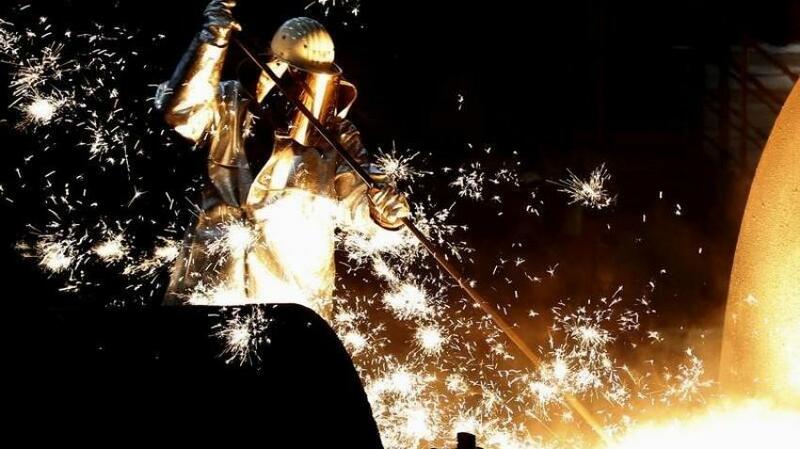 Because of the sharp fall in production, Turkey lost its position in the world’s largest steelmaking countries list and dropped to 9th rank from 8th. In the past years China and Asia were setting the upward production trend in the global scale, however, in 2015 they had the opposite effects on World steel production. In 2015 while total global steel production dropped by 48 million tons, crude steel production of China fell by 19 million tons Asia by 25.5 million tons. In 2015, China accounts for 49.5% of the world crude steel production. According to Worldsteel data, global crude steel production capacity rose from 2.351 y-o-y to 2.384 billion tons in 2015. China’s crude steel production capacity, whose growth pace slowed for the last 2 years, is estimated to have increased from 1.140 billion tons to 1. 154 billion tons. According to worldsteel’s estimations, world crude steel consumption fell from 1.66 billion tons to 1.64 billion tons. The data mentioned, show that in 2015, around 750 million tons of capacity was idle throughout the world. In 2007 the surplus steel capacity was 270 million tons, however, in 2015 surplus capacity almost tripled and substantially damaged balance of the world steel industry together with the negative effects of the slowdown in the world steel consumption growth. During the last 10 years, China increased its total crude steel capacity by 172 % and in this respect accounted for around 71 % of the 1 million tons growth in the world steel capacity. As a result of the sharp growth in capacity and slowdown in consumption, Chinese surplus capacity reached 450 million tons. After the global financial crisis in 2007, the demand declined rapidly, as a result, capacity utilization ratios of the World steel sector, started to decline from 85% and in 2009 it reached the lowest level with 68.9%. In 2014, the capacity utilization ratio which was on the recovery track, increased by 73.4%. In parallel to the production drop, capacity utilization of the world steel industry dropped from 73.4 % in 2014 to 69.7 % in 2015. Turkey became the third country among the 15 largest steelmaking countries after China and India in terms of production growth rate between the periods of 2007-2012. In fact Turkey achieved the largest production growth in 2011 and 2012. After having become the fastest country to speed-up steel production in 2011-2012, Turkey’s production rate dropped 3 consecutive years between 2013-2015. 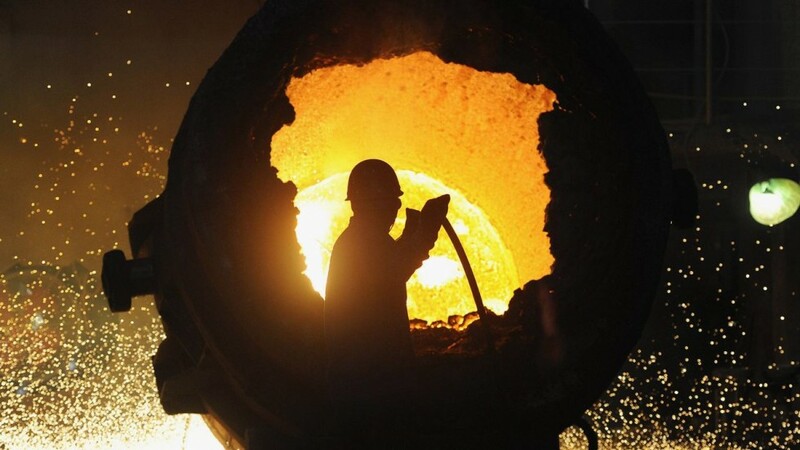 In 2015 Turkey’s crude steel production fell by 7.4% from 34.04 mt to 31.52 mt. In the last three years, total decline in Turkey’s crude steel output reached 12.2%. In 2015, while billet production fell by 5.6% to 23.23 mt, slab production dropped by 12.1% to 8.29 mt. Compared to the production level in 2012, the billet and slab production declined by 14.1%, 6.2% respectively. In 2015, crude steel production of the electric-arc furnace mills that rely heavily on scrap for steel production, fell by 13.8% as a result of the negative impact of balance between iron ore and scrap prices, while integrated mills’ crude steel production, which rely on iron ore, grew by 7.3%. In 2015, 65% of total crude steel production was realized by electric arc furnace mills and 74% of total raw steel output consisted of billet. In 2015, Turkey’s crude steel production capacity grew slightly by 0.5 % from 50.2 mt to 50.4 mt which shows that growth pace slowed substantially compared to recent years. Electric-arc furnace mills accounted for 77% of the total capacity. Though there was a limited capacity growth, capacity utilization ratio continued its downward trend as the production declined sharply. According to World Steel Association’s data, global capacity utilization of steel sector fell from 73.4%, to 69.7% in 2015. Turkish steel sector’s capacity utilization ratio continued to drop further from 67.8% to 62.5%, which is 7 percentage points lower than the world average. In 2015, capacity utilization of Turkish steel industry in slab production declined from 55% to 44%. More than 50% of the slab capacity stayed idle because of increased input costs of electric-arc furnace mills, as well as sharp rise in the imports of subsidized, non-certified, low priced steel products imports. In 2015, the capacity utilization ratio of electric-arc furnace plants dropped from 61% to 53%, while the capacity utilization of integrated plants grew from 89% to 94% with the help of iron ore. While crude steel production fell by %7.4, finished product output increased 2.3% with the support of imported semi-finished steel products. Total finished steel output increased from 36.1 mt to 36.9 mt in 2015. While long products’ production grew by 3.2% to 26.55 mt, flat products’ production increased slightly by 0.1% to 10.39 mt. In 2015, 71.9% of finished steel output consisted of long products, while flat products accounted for 28.1% of the total production. 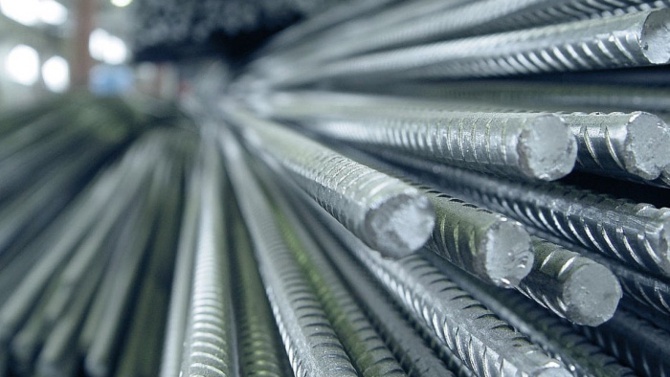 Turkey’s total finished steel consumption rose by 11.7% and reached to 34.36 mt in 2015. Consumption of long products, which are mainly used by construction sector, rose by 10.8 to 17.9 mt, also consumption of flat products, which are mostly required for industrial sectors, increased by 12.7% to 16.45 mt. In 2015, long products accounted for 52% of Turkey’s total steel consumption, while flat products accounted for 48% of the total. In 2015, Turkey’s production/consumption ratio of finished steel fell from 2009 ratio of 139% to 107%. At the same period, while that ratio in long products declined from 241% to 148%, and the ratio in flat steel products dropped from 70% to 63% despite surplus capacity of around 10 million tons. In 2015, Turkey’s total iron & steel export, including pipes and the articles of iron & steel, dropped by 6.7% from 17.97 mt to 16.76 mt; while the value of the total export declined by 22.6% from 15.18 billion dollars to 11.75 billion dollars. Billet export, which had dropped in the recent years, continued its sharp fall in 2015 and declined by 46% to 304.000 tons. Flat steel export rose slightly by 1.7% to 2.54 mt. Long products, which is the largest export product group in Turkey, fell by 7.2% and declined to 10.2 mt. In 2015 61% of Turkey’s total steel export, consisted of long products, 15% of flat steel products, 10.8% of pipes and 1.8% of semi finished products. In 2015, the sharpest drop was seen in the export tonnage to the Middle Eastern/Gulf region, which is Turkey’s largest export market. Since Chinese, Russian and Ukrainian steelmakers and exporters became more active both in Turkish market and Turkey’s export markets with lower and lower prices, Turkish steelmakers had difficulty in entering the main export markets where those competitors increased their existence. In 2015, total export of steel products to Middle Eastern and Gulf countries, fell by 13.4% (810.000 tons) and declined to 5.25 mt. Export to CIS region, dropped by 29% from 745.000 tons to 526.000 y-o-y in 2015. 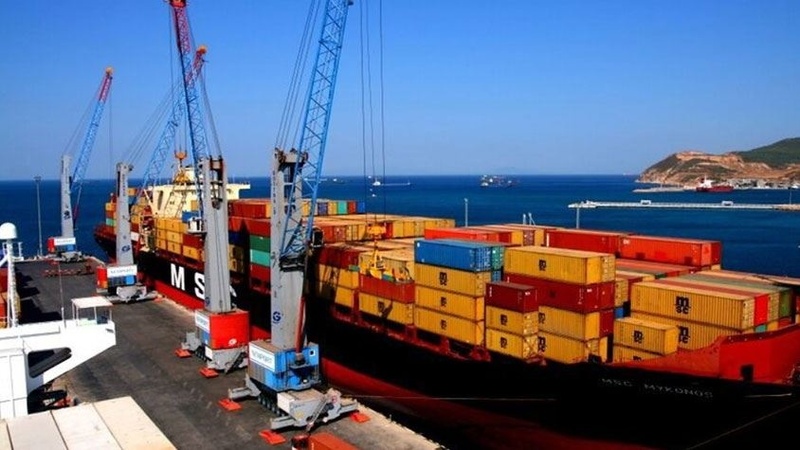 Export to the EU region, which is the second largest export destination of Turkish steel products increased by 4.3 % to 3.2 million tons; export to the USA rose by 5.7 to 2.36 mt, while export to North Africa grew by 22.2% to 2.32 mt. In 2015, 31.3% of Turkey’s total steel Middle East and Gulf region accounted for 31.3 % of Turkey’s total steel export, EU accounted for 19.2%, the USA 14.1% and North Africa 13.8% of the total. Turkey’s steel import, continued its rapid growth trend in 2015. Total import in terms of tonnage rose by 38.1% to 19.6 mt; while the value of import increased by 2.6% to 12.32 billion dollars. As average steel prices dropped more than 50 % throughout the year, while imported tonnage increased by 38 %, the growth in the value of the import stayed lower. In addition to the narrowing margins between scrap/finished steel prices, increasing dumped sales of Chinese and Russian steelmakers in the world markets with the support of the state aid they receive, led to a huge collapse in the pricing system of the world steel markets. Lower margins between scrap and finished steel led Turkish steel producers shift to semi-finished steel import instead of using scrap for crude steel production. As a result, Turkey’s semi-finished steel product import grew by 65% to 7.89 mt, reaching a record level. In 2015, around 19 mt of Turkey’s crude steel production capacity stayed idle and around 7.9 mt semi-finished steel products were supplied through import. Same scenario also happened to flat steel products segment. As a result the growth in flat steel products import by 27.9% to 8.61 mt, caused flat steel producers’ average capacity utilization ratio to fall below 50%. Lower priced, dumped and subsidized flat steel import kept local production under pressure. Despite Turkey’s net exporter status in long products and high idle capacity, the import of long products also increased by 7.7 % to 1.56 mt. Imports from CIS, which is the biggest steel supplier, rose sharply and imports from Far East/South East Asia increased considerably. In 2015, imports from CIS rose by 33 % to 7.14 mt, imports from EU increased by 5.3 % to 5.88 mt. With the contribution of Chinese 200 % export growth to Turkey, import from Far East and South East Asia grew by 128 % to 4.56 mt. Of this total 3 mt of the import was alone China origin. In 2015, 69% of Turkey’s total steel import was originated from the EU, Republic of China and Russian Federation. Steel export accounted for 8.2 % of Turkey’s total export 2015. Turkey’s steel products export/import ratio declined from 126% to 95 % yoy. As a result, despite having more than 19 mt idle capacity, Turkey became a net steel importer for the first time in 15 years. In 2015, Turkey made net steel export of around 2.3 mt in terms of tonnage, 0.56 billion dollars in terms of value. Turkey’s biggest deficit was in steel trade with the CIS region which was 6.6mt. After CIS region, the largest foreign trade deficit was Far East and South East Asia with 4.3 mt and USA with 2.7 mt. In return, net steel export to Middle East and Gulf countries was 5.2 mt, to USA was 2.3 mt and to North Africa was 2.2mt. According to the World Steel Association (worldsteel) data, while Turkey became the world’s largest 9th steel exporter, down from 8th position in 2015, Turkey’s steel importer position strengthened and Turkey moved to the 5th position from 8th in the world’s largest steel importers list. As net steel exporter position was lost in 2015, Turkey entered to the world’s largest net steel importers list from the 15th position. Current situation and trends show us that, if required measures are not taken, it is highly probable that Turkey will be in top 10 net steel importers of the world at the end of 2016. In 2015, total crude steel production fell by 7.4% and production in the electric arc furnace mills dropped by 13.8%. As a result of sharp production drop of the EAF mills, total scrap consumption of steel sector fell by 14.6 % to 24.1 mt. 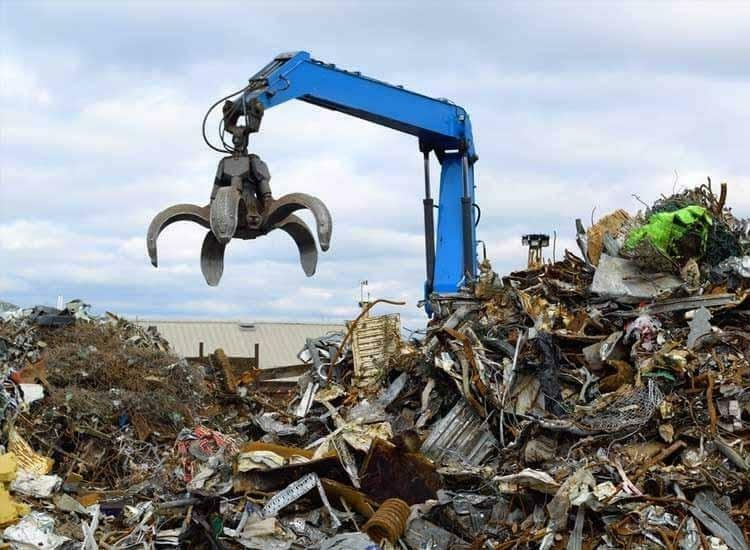 While 16.25 million tons of scrap consumption was met through import down by 14.8 %, 7.8 million tons of scrap consumption was met from the domestic market which is down by 14.3% yoy. In 2015, Turkey made 49% of its scrap import from EU, 24% from USA and 22% from CIS. The three regions accounted for 95 % of Turkey’s total scrap import. Since prices fell sharply in 2015, scrap import value fell by 40%. In addition to the 4.3 billion USD worth scrap import in 2015, Turkish steel industry also imported 10 million tons of iron ore down by 25% (0.8 billion USD), 1.17 million tons of pig iron (455 million USD), 400.000 tons of ferro alloys (581 million USD) and 5.4 million tons of coking coal ( 6.6 billion USD). Total value of steel industry’s import rose from 9.98 billion USD in 2014 to 6.6 billion USD in 2015. Turkey continued growing at a solid pace at the end of 2015 on the back of strong private and public consumption. Low oil prices and a weaker lira also drove the improvement the economy. GDP expanded an astonishing 5.7% annually in Q4, which marked the fastest growth since Q3 2011. While Turkish economy expanded by 4.0 % in 2015, growth in the industry and construction sectors were lower than the general economy, which grew by 3.3 % and 1.7 % respectively. On the other hand, mechanical machinery industry showed better performance than the GDP growth, up by 4.8 %. Production of the automotive industry skyrocketed by 16 % in 2015 reaching 1 million 359 thousand units. PPI increased from 8.17 % to 8.81% and CPI dropped from 6.36 % to 5.71 %. Unemployment rate also dropped slightly to 10.3 % at the end of the year. As total export of the Turkish economy decreased by 8.7 % to 144 Billion USD and import decreased sharper by 14.4 % to 207 Billion USD with the support of sharp fall in oil prices, Turkey’s total foreign trade deficit decreased by 25 % from 84.6 Billion USD in 2014 to 63.4 Billion USD in 2015. Narrowing foreign trade deficit helped the balance of payments deficit drop sharply by 26 % from 43.6 Billion USD to 32.1 Billion USD. 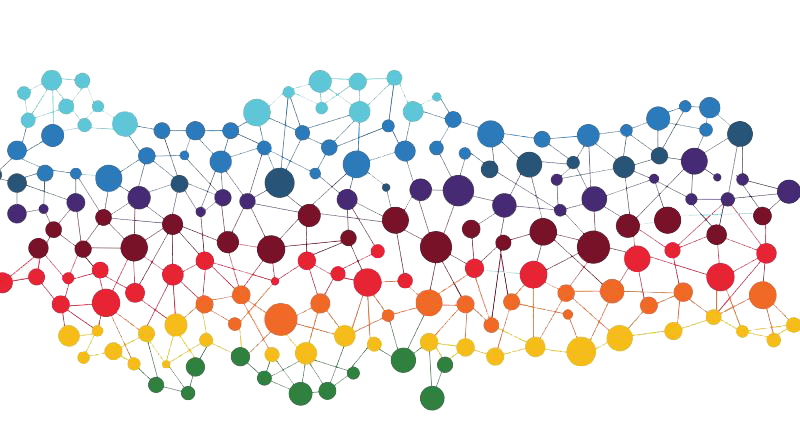 Capacity utilization rate of Turkish industry increased from 74.6 % to 75.8 % in 2015. Turkish steel industry started 2016 by struggling to survive under the problems accumulated since 2012. The fast recovery in steel prices during the first quarter of 2016, revived the expectations of the industry for the remaining part of the year. However, the realization of the positive expectations depend on eliminating surplus capacity and its negative effects in the world steel markets, preventing state aid to the steelmaking companies all over the world and dumped export sales to the world markets which pushes down the price levels. In order to get the desired results, Turkish economy administration need to take measures immediately against the dumped and low quality steel imports, as the other countries do like USA, EU, Canada, India. When external factors are not taken into consideration, it is clearly seen that Turkish domestic market is strong enough to support the growth of the Turkish steel industry.